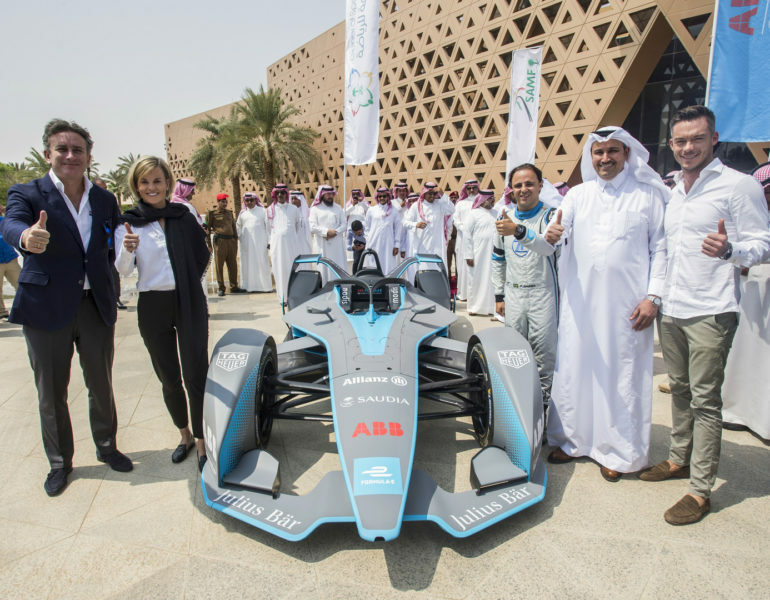 Tuesday, 25th September 2018: The countdown to Season 5 of the ABB FIA Formula E Championship got underway in the ancient city of Diriyah when Felipe Massa drove the all-new Gen2 car to launch the series’ first Middle East extravaganza. 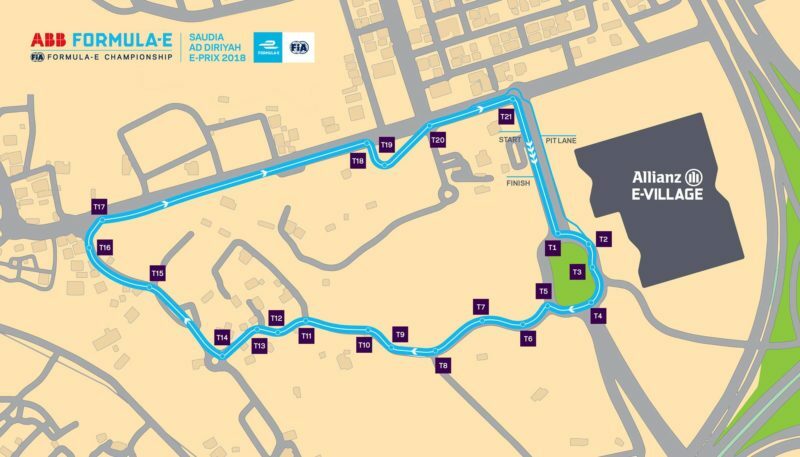 The first competitive appearance of the new cars will be held in the Kingdom of Saudi Arabia on December 15th 2018 as the focal point of an all-star weekend of sport and entertainment: the Saudia Ad Diriyah E-Prix. In an unprecedented step, the Formula E weekend will be the first time that Saudi Arabia will open up its borders to fans of live sport, music and culture with the launch of a new online visa process dedicated to welcoming international tourists. 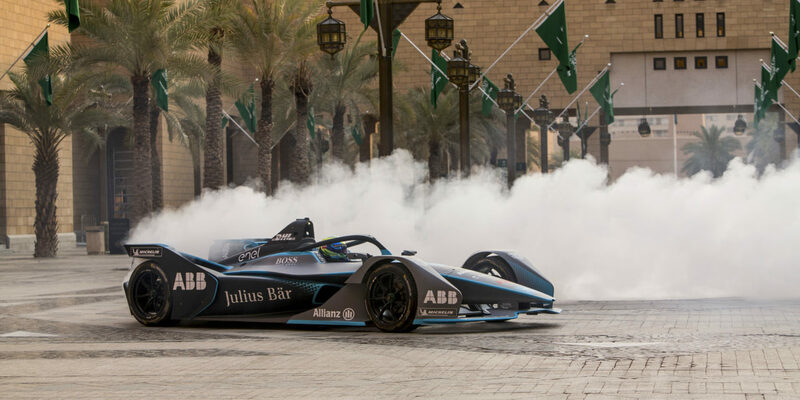 The new visa process platform known as ‘Sharek’ will be introduced for the inaugural Saudia Ad Diriyah E-Prix, the opening race to the 2018/19 ABB FIA Formula E Championship being staged at a stunning UNESCO heritage site on the outskirts of Riyadh on 15th December 2018. The ancient historical city of Diriyah, the first seat of power for Saudi’s Kings, will make history again by hosting the biggest festival of racing, live music and entertainment ever witnessed in the country, including thrilling action on the track and global superstars performing on stage over three days. Today’s announcement at the venue, attended by Formula E stars including Felipe Massa, Susie Wolff and André Lotterer saw the new ‘Sharek’ platform launched as part of the country’s Vision2030 plan. 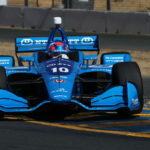 Organizers hope that a large number of international fans will access the online visa process and travel to the country to witness the debut of Formula E in the Middle East and the debut of striking new-look Gen2 car for the start of season 5. 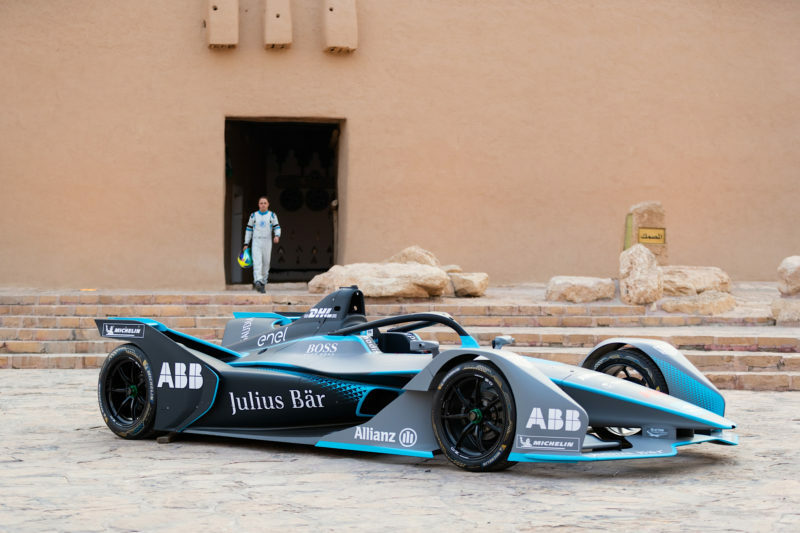 In an event marked by many firsts, the Ad Diriyah E Prix will be the first-time foreign travelers can access Saudi Arabia in such a fast and uncomplicated process as it opens its doors to sports tourism. The Kingdom’s commitment to tourism, a cornerstone of Vision2030, and the importance of Formula E within the sporting, social and business calendar of the region, was underscored by the announcement that Saudi Arabian Airlines (Saudia) – the national flag carrier of the Kingdom of Saudi Arabia – is the new official airline partner of the ABB FIA Formula E Championship and the race title partner. His Royal Highness Prince Abdulaziz Bin Turki AlFaisal Al Saud, Vice-Chair of the Saudi Arabia General Sports Authority, said: “This is a truly game-changing moment for Saudi Arabia and one that we can share with the world. It is very fitting that the such a futuristic and sustainable sport as Formula E is pointing to the future direction of our country. Naturally to have Saudia, our national carrier, as the new title sponsor signals our intent to reach out and invite fans to our historic and original capital. “Saudi Arabia is home to literally millions of passionate young fans of motorsport. Many of whom simply cannot believe that Felipe Massa took the Gen2 car around the streets of the capital today and that they now have a ‘home race’ on the Formula E calendar. So already the excitement is building especially since we’re adding live music concerts to the weekend line-up. “With the introduction with ‘Sharek’ our visa entry process for fans worldwide, we can share the event. We hope the Saudia Diriyah E Prix will see fans from around the globe come to Saudi Arabia to watch this epic sporting spectacle as now your ticket is your visa. We can promise a line-up both on the track, onstage and amongst a breathtaking historical setting that will excite fans across the world. It is the perfect combination of live sport, entertainment, technology and culture all in the one place and all at the one time. At the launch ceremony His Royal Highness was joined by dignitaries from Saudia and a number of government entities working together to deliver the event, including the Saudi Arabian Motorsport Federation. From the racing world, Formula E CEO Alejandro Agag was joined by F1 legend turned Formula E star with the Venturi team Felipe Massa and Susie Wolff, Venturi team principal and shareholder. Massa and Wolff have also been named as Saudia brand ambassadors. 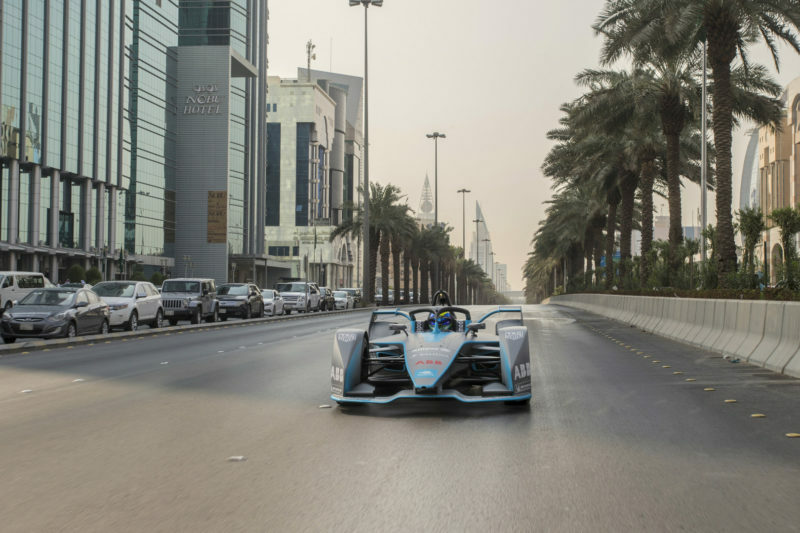 In preparation for the Formula E race, Saudi Arabia has worked with UNESCO to create the track from the historic city’s existing roads network, holding true to the sustainable nature of Formula E and minimizing noise pollution. The project has inspired infrastructure investment and conservation efforts around the archeological jewel, not only enhancing the site but proudly displaying it to the world. 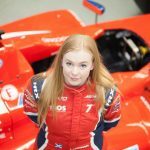 Over three days throughout the Formula E weekend a series of cultural and entertainment events will be staged to ensure the race is memorable for fans, families and international tourists alike. Further details of an incredible global line-up will be announced in the coming weeks. 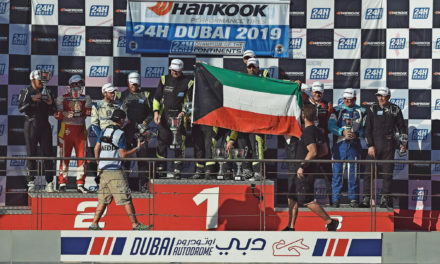 His Royal Highness Prince Khalid bin Sultan Al Faisal Al Saud, President of the Saudi Arabian Motor Federation, said: “We are not just opening up to international fans, but importantly we are opening up our nation to new and exciting sports. Giving new experiences. We hope some of the children who watch this first race will be inspired to be part of the industry over the course of the next decade. 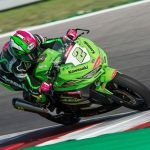 Ideally, they’ll be supporting, competing and winning on the track too. We firmly believe new opportunities will grow from the seeds planted from the historical roots of our nation in Diriyah. 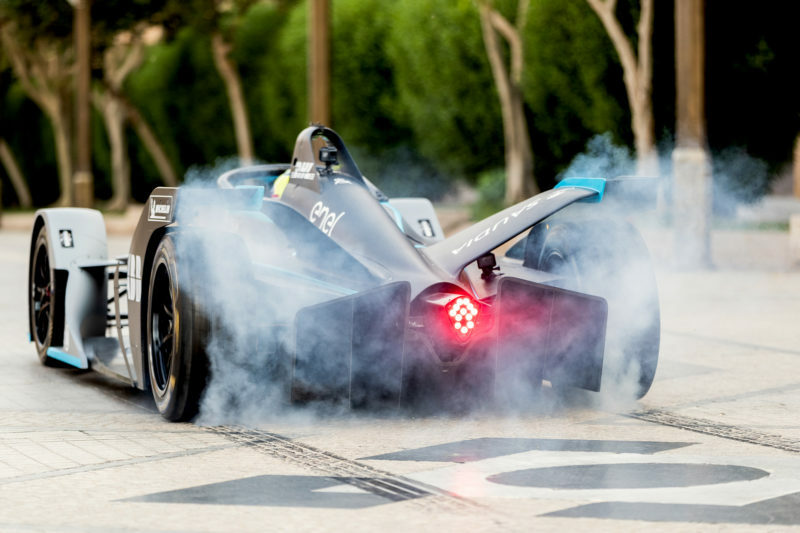 The ABB FIA Formula E Championship event is officially sanctioned by the Fédération Internationale de l’Automobile (FIA) and its global safer driving campaign will be adopted and promoted. 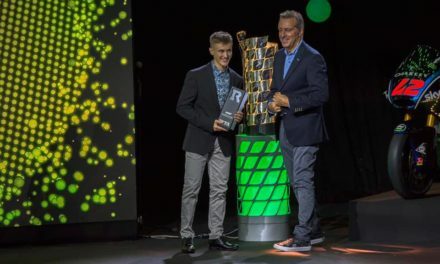 Formula E joins sporting powerhouses such as WWE and European Tour Golf who have forged long-term partnerships with Saudi Arabia as it establishes its reputation as a destination for world class sports events. Saudi Arabia is realizing an ambitious new future, one built on social, economic and technological development as part of its 2030 vision. Formula E comes to Saudi at a pivotal time as progress plans are being implemented. The transformation includes of a sustainable sports industry, one economic pillar which holds the keys to unlocking the country’s vast potential. Saudi Arabia is unlocking the power of what’s possible by restoring its vibrant and tolerate society Celebrating creativity and innovation, giving people access to opportunities to realize their potential. The progress is exciting and real, public cinemas are open, driving is now open to all and tourism visas are to be granted. The General Sports Authority (GSA) of the Kingdom of Saudi Arabia uses the power of sport and active living to enhance the lives of all communities in the Kingdom and to benefit sports values worldwide. As the country’s sport regulator, the GSA is an inspirational catalyst for change and believes in sports for all. The diverse and growing organization is enabling the country’s desire for a vibrant society by creating the widest access possible for all to sports sector opportunities. The GSA is helping the Kingdom of Saudi Arabia realise its sporting ambition to become a global leader with a strong pathway from amateur to elite and is creating an environment for a sports industry to flourish as part of a thriving and sustainable sports economy.